Happy Summer! We are really feeling the summer here in Texas, where we had temps over 100 degrees last week. We could really use some more rain. Since there is too much on the East Coast -- could you guys over there send us some please? While in the scrapping mood last week, I found some photos of my oldest son from a few summers ago that had not yet been scrapped. The only "summery" paper I had at home was a single sheet of paper with a large title already on the bottom of the page. Although I really don't use this type of printed paper anymore, I thought I'd give it a go. To help with the layout and incorporate the printed title, I chose a sketch that had a lot of "white space" on the bottom. This allowed me to scrap on the top of the paper easily. This layout uses all scraps except for the background paper. The tags and summer brads are a couple years old that were in my stash. The little flags were easy to make: use corsage pins and washi tape! 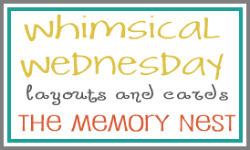 This layout will be added to The Memory Nest Whimsical Wednesday! When you link up, you will get an entry in Leslie's monthly drawing. Not only that, you can get tons of inspiration from all the other link-ups! 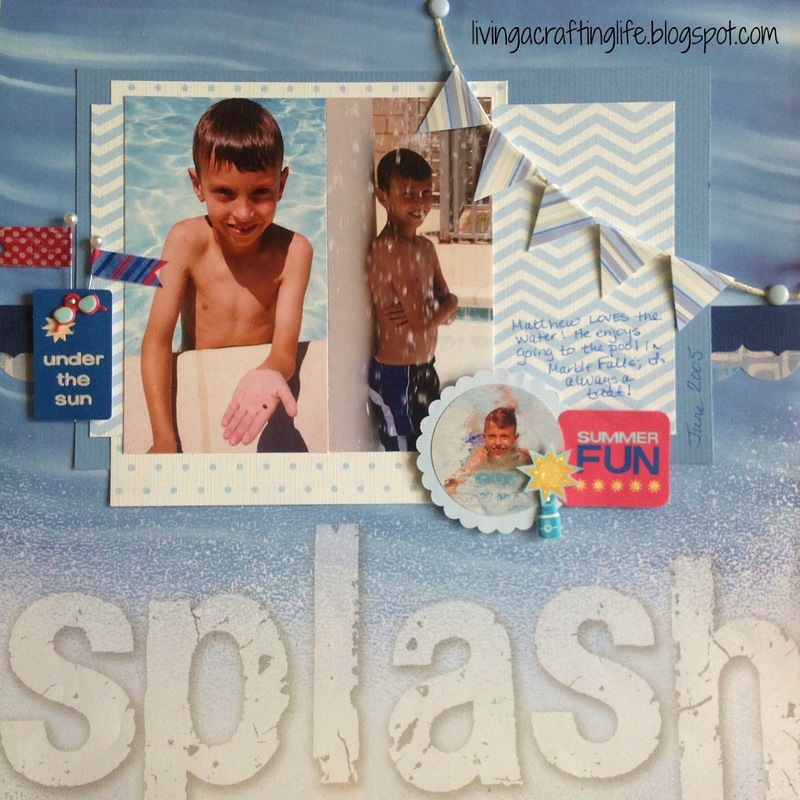 Angie - what a great layout and you did a wonderful job making the title work. Love your work. Thanks for linking up.